Although surfing is not a common sport in India, 7,516.6 kilometres of coastline ensures that there is no dearth of surfing spots in the country for the adrenaline junkies. It was not until recently, that tourists started seeing the country as more than just the land of yoga and culture. India, being blessed with abundant and extensive water bodies provide for the best liquid ground for surfers, tapping the potential of which, tour operators are attracting travellers from across the globe. Be it along the tedious tidal waves against the western coastline or on the titanic waves along the eastern coastline, India has it all. 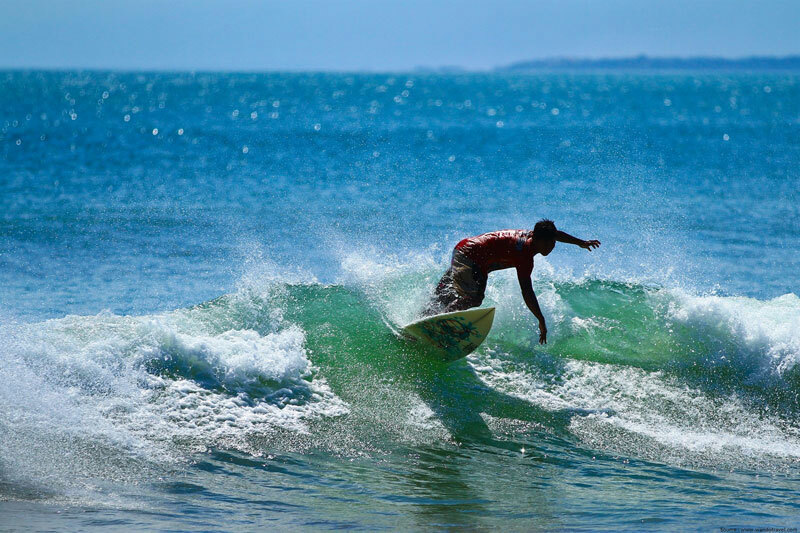 This article presents to you, the eight surfing spots in India for surfing enthusiasts. Grab on to those surfing boards and read on. What can be more symbolic of a picturesque beach-side than a lighthouse? 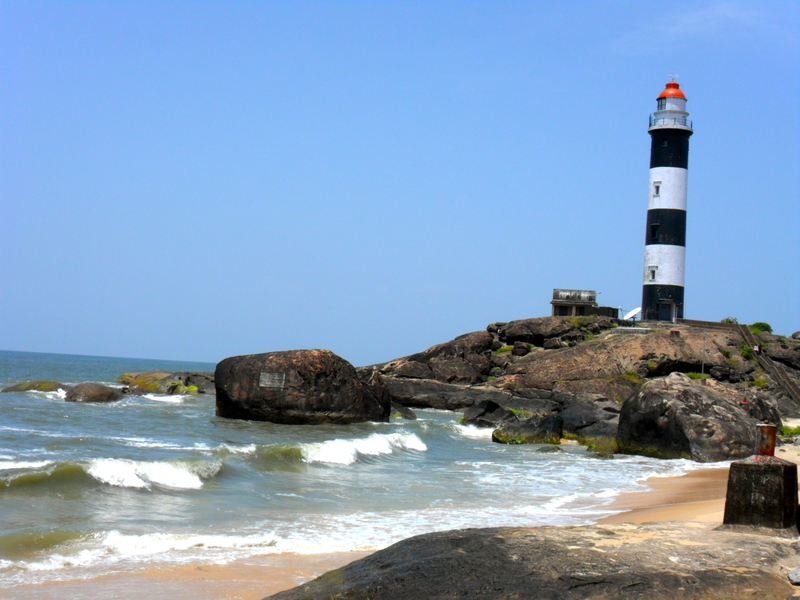 The Kapu Beach Lighthouse in Kapu Beach, Karnataka (south India) is one of the most prominent mentions for surfers in India. The drifty edges and turns make this one of the most adventurous surfing joints in the subcontinent. The crystal clear water and golden sand also makes for a pretty site, one that encompasses an entire stretch of a kilometre. 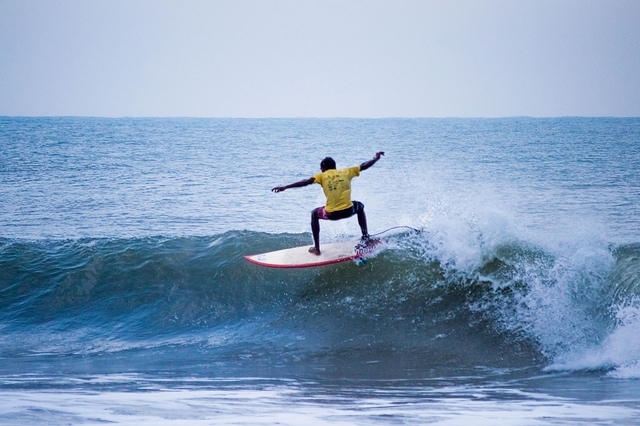 Known as the pro-surfer’s corner, Paradip is a surfer’s paradise with tides that can go as high up as a kilometre. It is hence advisable for amateur surfers to not venture into this challenging ground that garners a large number of tourists in Odisha (east India). Paradip is challenging and has safety measures and well-equipped attendants to cater to the surf-crazy tourists. This ensures that Paradip remains a special mention when it comes to surfing destinations in India. Kanyakumari, which marks the territorial end of the peninsula happens to be the southern-most tip. The Tamil Nadu city famous for its myriad attractions among the tourists is also acclaimed for its many surfing events and competitions. If one is looking for nice, big waves to catch a little breeze in the hair while surfing, this is the ultimate place to be at especially during the scorching summers. Wandoor Beach is a famous revelation among tourists and is also a renowned surfing destination. Based in the southern union territory of Andaman and Nicobar Islands, Wandoor Beach is known for its combination of high and low tides making it a common surfing ground for professionals and newbies alike. 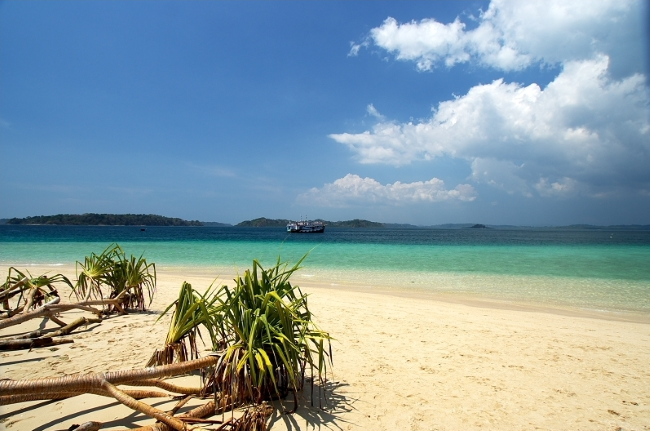 This extensive beach is also famous for sun-bathing as tourists engage in its serenity and complexion. Wandoor beach, owing to its shallow depth is also child-friendly. 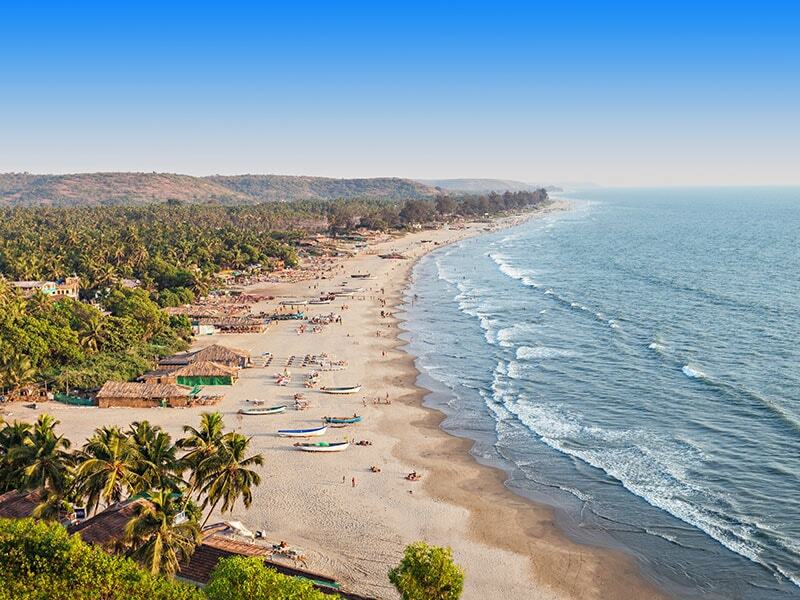 A trip to India is incomplete without Goa (west India) and Goa is incomplete without Baga Beach. Arguably the most popular and crowded beach in India, the Baga Beach is known widely for its rich shacks. However, Baga Beach is most famous for water sports of diverse kinds. 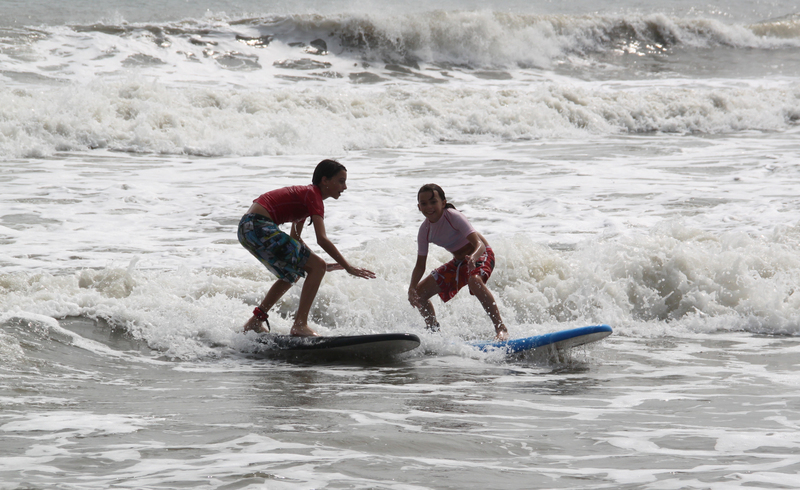 Out of this, surfing is a key element with several voyagers taking to surfing on this long, grainy seaside. 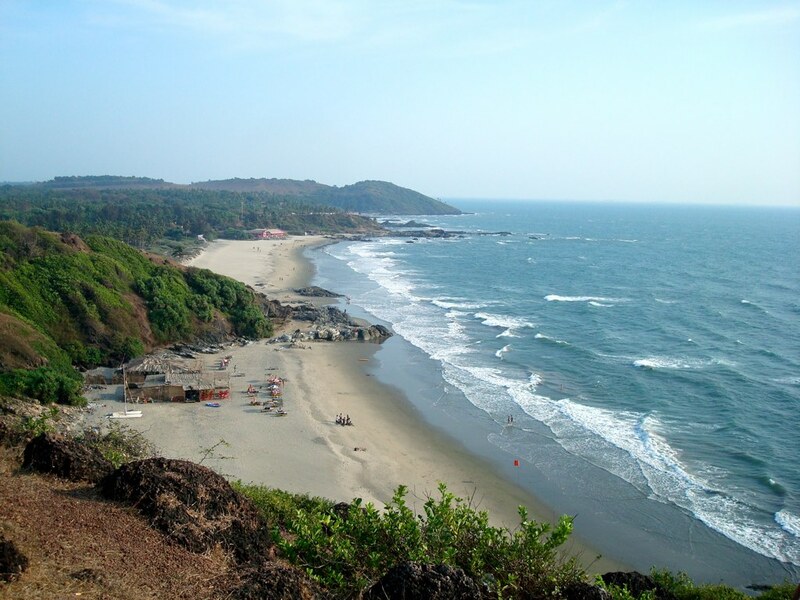 A part and parcel of the very being of Goa is Vagator Beach, known for its junk jewellery, Boho clothing stalls and gorgeous, elaborative pubs and clubs. Vagator Beach stands undefeated when it comes to a major surfing destination in India, making it a huge success especially among foreign revellers. After an exhaustive surfing session, one can relax on the sandy beach and enjoy the breeze or head straight to the club. Quite unique to its name, the Ten Thousand Peaks is one of the most magnificent surfing locations to make it to the bucket list. Spreading over a whopping six kilometres, the Ten Thousand Peaks is located at a close proximity to Maravanthe Beach in Karnataka. Known exclusively as a major surfing haven, this spot is a visual representation of its name. The Ten Thousand Peaks is a major crowd puller and is especially relevant among global voyagers. This lesser known coastal village in the southern state of Tamil Nadu is a hidden gem when it comes to a rich history of tourism and tradition. Located 60 kilometres from Tuticorin and 18 kilometres south of Tiruchendur, St Francis Xavier came to Manapad in 1542, when he began missionary activity on the Fishery coast. Manpad’s coastline was formed by multiple layers of lava accumulated over hundreds of years. Giving rise to magnificent waves throughout the year, surfers can expect a minimum of 400 metres ride on the waves of the Indian Ocean here; however, tourists are advised to stay away from the towering waves during monsoon.